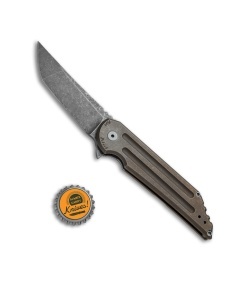 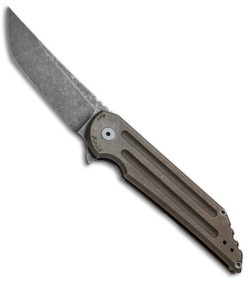 This Kwaiback has an acid stonewashed tanto style blade made from CPM-20CV steel. 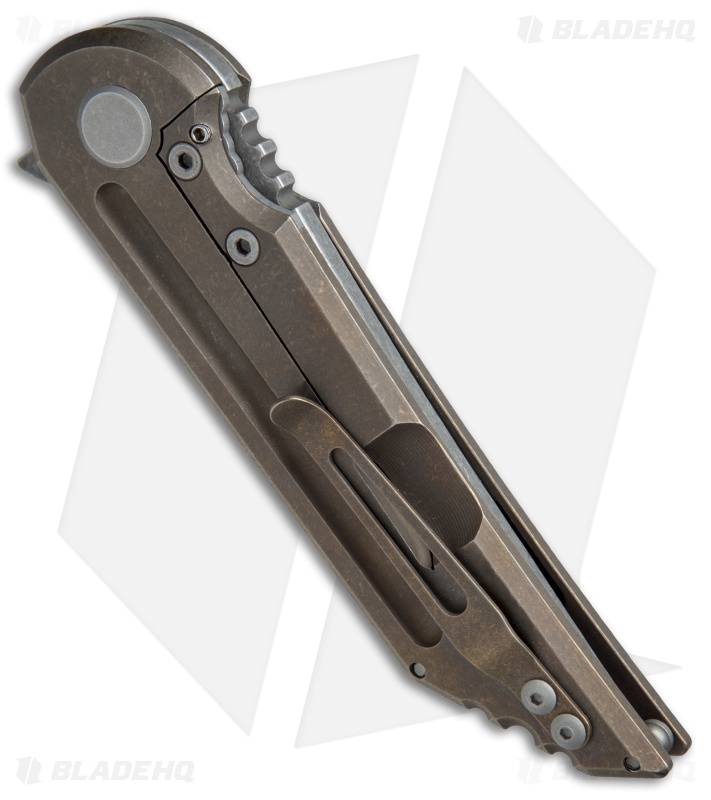 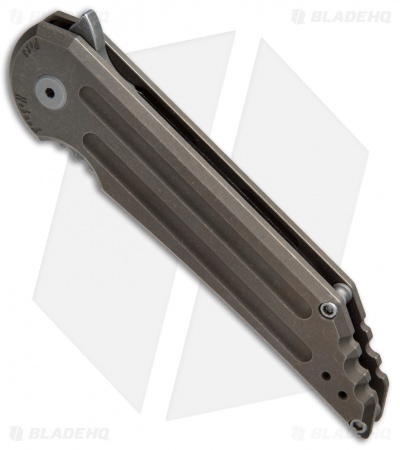 It features a bronze anodized titanium frame lock handle with the Hoback Roller Detent (HRD) system on the lockbar and a CBP caged bearing pivot for consistently awesome blade action. Flipper opener and reversible tip-up carry pocket clip. New from maker.